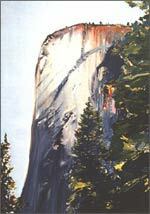 Paul Bockhorst Productions has a strong interest in subjects pertaining to the arts, both contemporary and historical. In our art-related productions we strive to interpret the subjects in ways that make them accessible and relevant to the general public. The company has produced a number of public television documentaries on the history of art and architecture, as well as on individual artists and architects. 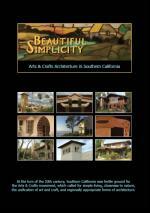 To date, Paul Bockhorst Productions has completed twelve programs on the history of art and architecture in California. 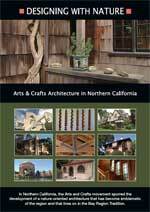 Earlier, Paul Bockhorst Productions completed a series of four major documentaries on Arts & Crafts era architecture in California. 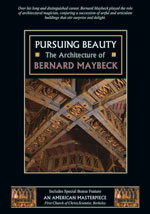 The series includes Designing with Nature: Arts & Crafts Architecture in Northern California, Beautiful Simplicity: Arts & Crafts Architecture in Southern California, Greene & Greene: The Art of Architecture, and Pursuing Beauty: The Architecture of Bernard Maybeck. In 2012 Paul Bockhorst served as guest curator for an exhibit at the San Luis Obispo Museum of Art entitled A Time and A Place: The Artistic Encounter Between Channing Peake and Elaine Badgley Arnoux. The exhibit inquired into the artistic interaction between Channing Peake (1910-1989) and Elaine Badgley Arnoux (b. 1926), an artist whose creative vision expanded widely after meeting Peake in 1956. The exhibit at SLOMA is an expression of Paul Bockhorst�s long-term interest in the life and work of Channing Peake. He considers Peake an important but under-recognized American artist whose work merits greater attention. 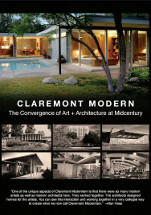 A mini-documentary about the A Time and A Place exhibit can be seen on Vimeo at https://vimeo.com/61945345. 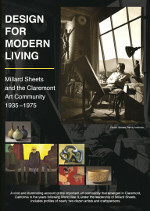 The catalog for the exhibit is available on the San Luis Obispo Museum of Art website at http://www.sloma.org/shop/xexhibition-souvenirs.php. 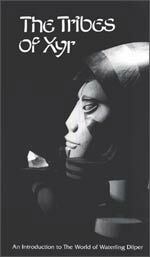 In 2008 Paul Bockhorst Productions created a special 20-minute video for use in an exhibit entitled A New and Native Beauty: The Art and Craft of Greene & Greene. The video provides architectural context for the furnishings and other objects seen in the show. It was recognized as an important component of the exhibit in a Jan. 6, 2009 article in The Wall Street Journal. Venues for A New and Native Beauty include The Huntington Library, Art Collections, and Botanical Gardens, San Marino, California (Oct. 18, 2008 to Jan. 26, 2009), the Renwick Gallery of the Smithsonian American Art Museum, Washington, D.C. (Mar. 13 to June 7, 2009), and the Museum of Fine Arts, Boston (July 14 to Oct. 18, 2009). 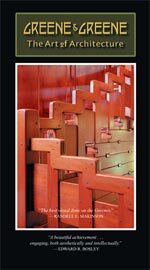 Paul Bockhorst Productions works regularly with artists, architects, art historians, museums, and other arts organizations. The company has received support for arts-related documentaries from The Windgate Charitable Foundation, The James Irvine Foundation, The Ahmanson Foundation, the Graham Foundation for Advanced Studies in the Fine Arts, the Gensler Foundation, the Ayrshire Foundation, the Fleishhacker Foundation, and the Joan Irvine Smith and Athalie R. Clarke Foundation, among others. Documentaries produced by Paul Bockhorst Productions are used widely as interpretive and educational resources in museums, colleges, universities, preservation organizations, historical societies, and other cultural institutions. They have been shown at the Metropolitan Museum of Art in New York City; the Museum of Fine Arts, Boston; the Huntington Library and Art Collections, San Marino; the Berkeley Art Museum; the Los Angeles County Museum of Art; and the San Diego Museum of History, among others. The company�s productions on art and architecture are often undertaken in collaboration with public television stations, which offer the programs to other PBS stations across the U.S. via satellite distribution services.